My sweet reader Amanda and I share an obsession with "Pretty in Pink," which Amanda correctly calls the best of all the prom films. By the by, I like all things prom, as long as those things are outlandish and ruffled and there are humongous wrist corsages and punch bowls and stretch limousines. Here's my favorite moment of "Pretty in Pink" -- it's the computer scene between Andie and Blane. Not only does this predate texting cuteness by two decades, but I'm pretty sure its gentle flirtiness is the gooey-sweet godparent to more than one moment in the Wilfair series. 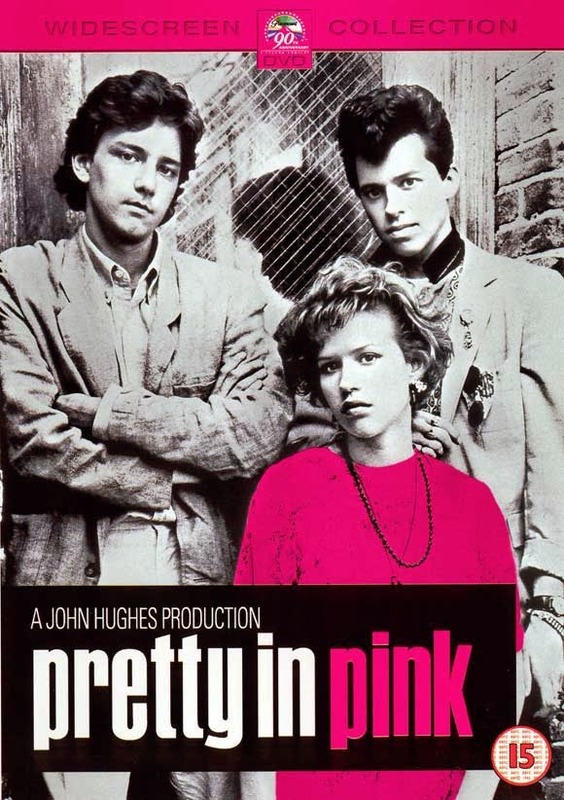 I love pretty much everything about Pretty in Pink except Andie's prom dress. I thought both of the original dresses were much prettier than the one she made, especially Iona's. Jill, I'm with you. Actually, anything Iona does is tops in my book. Definitely like her leather look early in the movie, and spiky hair, too.